Coaching is easy when things are going well. You wear your nice jacket, smile a lot and say pleasant things like "nice ball" and "well done". But what happens when things aren't going well? Let's start with my personal rule number 1a. When things go wrong, the responsibility falls on the coach. Hopefully my attempt to explain why is clear. Read this quote from Luiz Felipe Scolari. 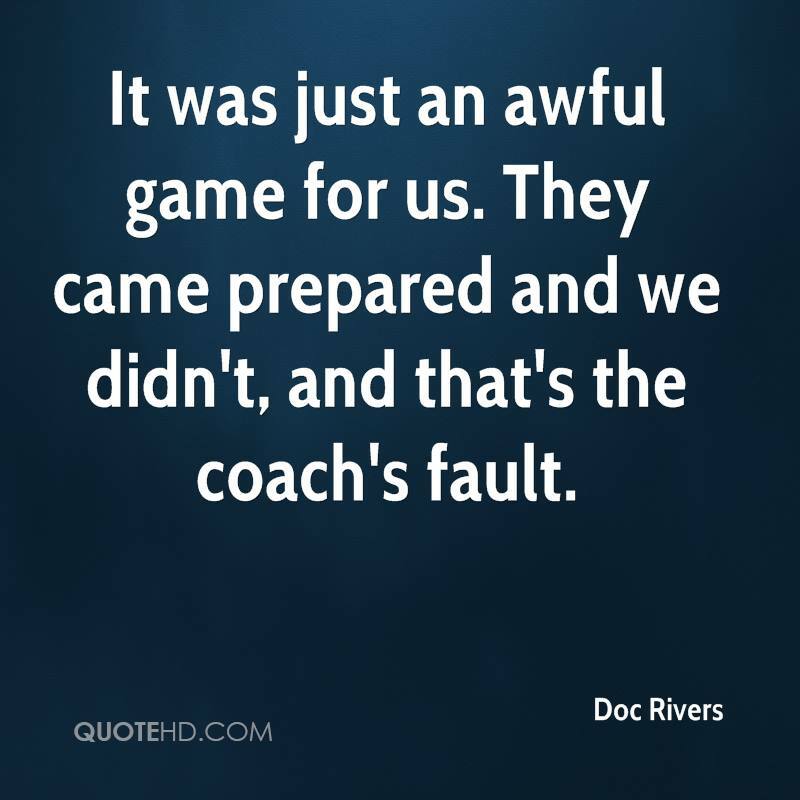 Personally, I believe everything falls on the coach when it's not 100% perfect ... a negative encounter with a parent/official/player, a session that wasn't overly productive, even poor attendance at training. But for this article, I am talking about the game. Our Niagara College men's soccer program had a good year and the program has been moving in the right direction for the last three years. But our last game for the 2014 season was a bad day. I've been on both ends of such games and it isn't easy either way. You want to win and lose gracefully, always. But "things going well" and "success" are not always associated with winning and losing as there are times you coach a team that doesn't have the horses to beat the opponent you're currently playing. Regardless of who you're playing and what your chances are, there are still things that could/should be happening that sometimes aren't.